class="post-template-default single single-post postid-378528 single-format-standard custom-background group-blog header-image full-width singular wpb-js-composer js-comp-ver-5.7 vc_responsive"
The Nebraska baseball team (17-10, 7-2 Big Ten) looks to bounce back this weekend when the Huskers visit Penn State (17-12, 1-7 Big Ten) for a three-game conference series at Medlar Field in State College, Pa. The Huskers, who have won 11 of their last 14 games, had its four-game winning streak snapped by Creighton on Tuesday. Before that, NU amassed 39 runs over the span of a three-game series sweep of Purdue at Hawks Field over the weekend. The Huskers are tied for second in the Big Ten standings with a 7-2 mark after three weekends of conference play. Michigan (4-1 Big Ten) leads the conference with its .800 winning percentage. Indiana (7-2) is tied for second with the Huskers. Nebraska, ranked 48th in the RPI, broke out the brooms to open Big Ten play, March 22-24, when the Huskers swept Michigan State at home. The following weekend, NU went 1-2 at Minnesota. 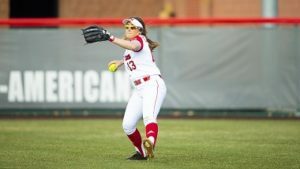 The Huskers suffered their first home loss of the season on Tuesday night after an 8-0 start when they fell to Creighton, 10-2, at Hawks Field. The Huskers host Kansas State on Tuesday night at Hawks Field. The game, set for 6:35 p.m. (CT), will be streamed live on BTN Plus, with a subscription required to watch. • Fans can listen to Nick Handley and Ben McLaughlin call the action for all three games this weekend on the Learfield/IMG Husker Sports Network. • All three games can be heard on Huskers.com and the Official Nebraska Huskers App for both iOS and android devices. • The games as scheduled will be carried on TuneIn.com and the TuneIn App on the Husker Sports Network channel. 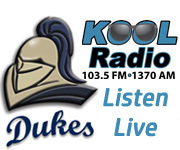 • Fans in Lincoln can listen on 1400 AM and fans in Omaha can listen on 590 AM. • Friday night’s game will be streamed on BTN Plus, with a paid subscription required to watch. 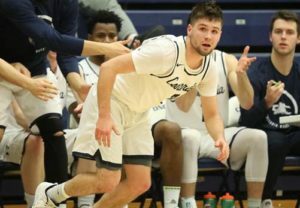 • Saturday and Sunday’s games will be streamed for free on LionVision via Penn State’s athletics website, GoPSUSports.com. • Nebraska leads the all-time series against Penn State, 8-2, dating back to the first meeting in 2012. The two teams last met on May 20, 2017 in State College, Pa., when NU crushed the Nittany Lions, 21-3, en route to winning the Big Ten regular-season title. • Nebraska won 2-of-3 at Penn State in 2017, the lone time the two teams have met in State College. Nebraska holds a 5-1 advantage in Lincoln and a 1-0 edge at neutral sites. • Penn State is 17-12 this season with a 1-7 record in Big Ten play. The Nittany Lions were swept by Minnesota to open conference play and went 0-2 against Purdue before winning 1-of-3 at Indiana last weekend. • Head Coach Rob Cooper is 114-171 in his sixth season at Penn State. He holds an overall record of 400-401 in his 15th season. Cooper is assisted by Josh Newman, Andre Butler and Dallas Burke. • Cam Chick earned Big Ten Freshman-of-the-Week honors on Monday after helping Nebraska go 4-0 last week. • Chick played in two games against Purdue over the weekend and went 5-for-10 with six RBIs and four runs scored. He smashed a home run in both games against the Boilermakers and added a double on Saturday. • Nebraska’s starting pitchers have paved the way for the team’s success in each of the last 14 games. NU’s starters have gone 8-1 during that stretch. • During the 14-game span, Nebraska’s starters have combined to pitch 79.1 innings, an average of nearly 6.0 innings per start. • The starters have allowed 21 runs (18 earned runs), while amassing 71 strikeouts and only 11 walks. • Over his last three starts, Matt Waldron has accumulated 24.0 innings and allowed only three runs, while striking out 22 batters and given up one walk. • In Nate Fisher’s last three starts, he has compiled 18.1 innings and 12 strikeouts, while allowing five runs (three earned runs) and three walks. • Reece Eddins has made four starts during the 14-game stretch and compiled 20.0 innings. He has allowed six runs (five earned runs), while striking out 17 batters and walking three. • Senior right-hander Matt Waldron, who has made five starts and seven appearances overall, leads the Huskers with 48 strikeouts this season. • Waldron has allowed only three walks, and his 16.00 strikeout-to-walk ratio ranks first in the Big Ten and tied for third in the nation. • Waldron leads the Husker pitching staff in ERA (1.64) and innings pitched (44.0). He is 4-0 this season, tied for the most wins on the team with Nate Fisher. • Waldron has 208 career strikeouts, which ranks eighth in program history. Bob Sebra (212) ranks seventh on Nebraska’s career strikeouts list. • Sophomore Aaron Palensky, a junior college transfer, has made a big impact as a newcomer for the Huskers this season. • Palensky ranks fourth in the Big Ten with a .355 batting average. He ranks fifth in the conference in hits (38) and tied for second in doubles (11) and triples (2). • Palensky has at least one hit in 24 of 27 games this season, including 11 multi-hit efforts, the most on the team. He went 4-for-5 on Sunday, coming a triple away from hitting for the cycle. • Palensky leads the Husker offense in runs scored (23). He is tied for second on the team in RBIs (19). • Junior Joe Acker has been red-hot at the plate this season with a .342 batting average. • Acker has 10 multi-hit efforts, the second-most on the team. • Acker has two or more hits in five of his last eight games. • Acker entered the season with 12 career hits in 39 games. This season, he has 26 hits in 20 games. • Nebraska is 8-1 at home this season with sweeps against Air Force, Michigan State and Purdue before suffering its first home loss of the season on Tuesday night against Creighton. • Nebraska played its long-awaited home opener on March 19 after each of the first eight scheduled home games had either been canceled, postponed or moved to a new location due to weather and/or field conditions. • It marked Nebraska’s latest home opener since 1978 when the Huskers first played a home game that season on March 28. The 1978 squad played 17 games away from Lincoln before its home opener. This season, the first 13 games were played away from home. • The Omaha game, originally scheduled as the home opener for March 5, was postponed. The North Dakota State game, scheduled for March 13, was also postponed. • The Baylor series, March 8-10, was moved from Lincoln to Waco, Texas due to cold weather and snowy conditions. • The New Mexico State series, originally slated for March 15-17, was canceled due to field conditions. • The Huskers have five more television appearances scheduled this season after playing on TV in three of their last four games. • NU will be on NET two more times this season, including April 27 (Illinois) and May 10 (Arizona State). • The Huskers will make two appearances on the Big Ten Network, including April 20 (Iowa) and April 26 (Illinois). • Nebraska’s April 23 match-up at Creighton will be on CBS Sports Network. • Nebraska has been on TV three times this season, including April 5 (Purdue) on NET, April 7 (Purdue) on ESPNU and April 9 (Creighton) on Fox Sports 1. • Nebraska’s nationally ranked recruiting class has played a key role for the Huskers so far this season. • Seven of the 19 players (37 percent) to make plate appearances for Nebraska this season are newcomers. In addition, five newcomers have made pitching appearances. • D1 Baseball ranked NU’s class 16th nationally and the best among all Big Ten teams, six spots ahead of second-best Illinois. • Baseball America tabbed the group among its top-35 recruiting classes. After announcing its top 25, Baseball America released its “Next 10” in alphabetical order. Nebraska was one of two Big Ten teams on the list, along with No. 24 Illinois. • Rawlings/Perfect Game ranked Nebraska’s recruiting class 37th nationally and third in the Big Ten, behind No. 32 Purdue and No. 36 Indiana. • The Huskers welcome 15 newcomers to the roster this season, including 11 freshmen, as the entire recruiting class made it to campus. 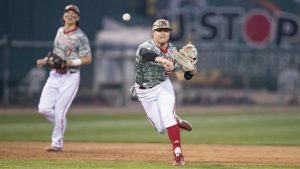 • Two newcomers – Spencer Schwellenbach and Bo Blessie – were drafted in June 2018, but chose to come to Nebraska to play college baseball. Schwellenbach was selected in the 34th round by the Cleveland Indians, while Blessie was drafted in the 36th round by the Washington Nationals. • Nebraska played eight of its first 13 games against top-25 opponents away from home. Five of those games were against 2018 College World Series teams (Oregon State and Texas Tech). • As a whole, Nebraska’s schedule features games against five NCAA Tournament qualifiers from last season, including two College World Series participants. 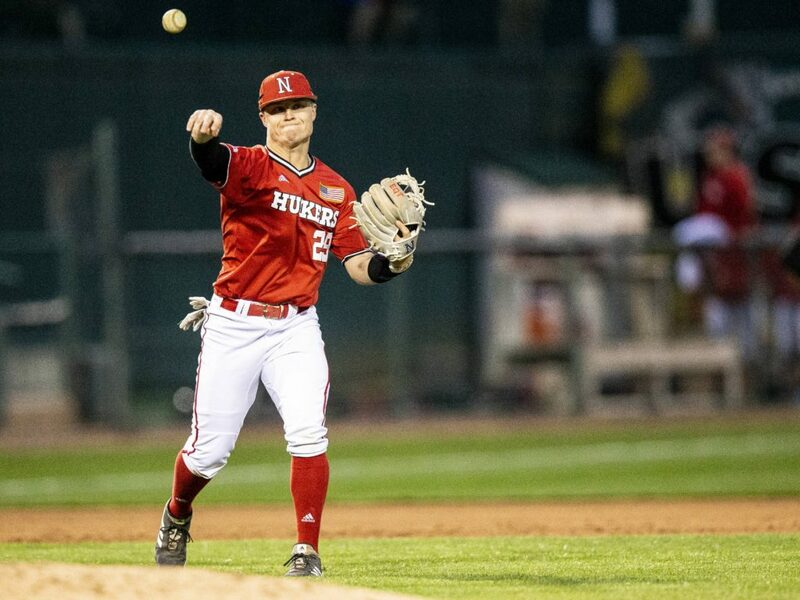 • Before cancellations, Nebraska was scheduled to play 2018 CWS qualifier Mississippi State (March 3) and 2018 NCAA Tournament team New Mexico State (March 15-17), which would’ve given NU a schedule with seven NCAA teams, three of which made the CWS last season. • The Huskers also face each of the top four teams from last year’s Big Ten standings. Earlier this season, Nebraska won 1-of-3 at Minnesota, a team which advanced to Super Regionals last season after winning the Big Ten regular-season and tournament titles. • Nebraska went a combined 5-1 against 2018 NCAA Tournament qualifiers Baylor and Purdue. NU won 2-of-3 against Baylor, March 8-10, in Waco, Texas. The Huskers swept Purdue, 2018 Big Ten runner-up, last weekend at Hawks Field. • Michigan and Illinois, who finished third and fourth, respectively, in the Big Ten last season each visit Hawks Field this season. • Nebraska’s penultimate regular-season series is against Arizona State (May 10-12) at Hawks Field. The series history between the Huskers and Sun Devils includes NU’s first win in a College World Series game in 2005. • The Big Ten teams not included in Nebraska’s 2019 regular-season schedule are Indiana, Maryland, Ohio State and Rutgers. • The conference tournament returns to TD Ameritrade Park in Omaha, May 22-26, after previously hosting the event in 2014, 2016 and 2018. The Big Ten Tournament will return to TD Ameritrade Park from 2020 to 2022. • One of Nebraska’s strengths under Head Coach Darin Erstad has been the bullpen. This season, the Huskers have recorded six saves, led by Colby Gomes, who has four saves individually. • Last season, Nebraska earned 16 saves, marking the eighth consecutive season the Huskers have recorded double-digit saves. • Nebraska has had a pitcher earn 10 or more saves in each of the last five seasons after no Husker pitcher reached the 10-save milestone during the previous seven seasons (2007-13). • Head Coach Darin Erstad earned his 250th career win at Nebraska on April 5 when the Huskers topped Purdue, 17-0. • Last season, Erstad became the fourth-winningest head coach in program history. Erstad reached the 200-win milestone in 2017. • Erstad, the 2017 Big Ten Coach of the Year, holds a conference record of 103-70-1 as the head coach at Nebraska. He picked up his 100th conference win on March 31, when the Huskers topped Minnesota in the first game of a doubleheader. • The 2019 campaign marks Nebraska’s 18th year playing home games at Hawks Field at Haymarket Park. The Huskers moved to Hawks Field in 2002 after playing at Buck Beltzer Stadium for 23 years from 1979 to 2001. • Since moving there in 2002, Nebraska has played 495 games all-time at Hawks Field and has 10 more scheduled home games this season. • In 2019, NU has averaged 4,219 fans per home game (through nine home games), which ranks 10th in the nation and leads the Big Ten by a wide margin. Indiana ranks second in the conference in attendance with an average of 1,650 per home game. • Nebraska holds a 360-134-1 record at Hawks Field, which includes an 8-1 mark this season. NU has posted a winning record at home in each of the last 17 seasons. • Nebraska has won 60 percent or more of its home games 14 times over the last 17 seasons. • Since Head Coach Darin Erstad took over in 2012, the Huskers are 131-56 at Hawks Field. He has posted 20-win seasons at home in three of his first seven years at Nebraska, including 21-win seasons at home in 2015 and 2016. • Nebraska has ranked in the top 30 nationally in average attendance in each of the past 17 years. Last season, the Huskers ranked 12th in the nation with an average of 4,203 fans per home game (over a span of 25 games). • In 2017, the Huskers welcomed an average of 5,395 fans per home game, which ranked sixth in the nation. NU also ranked sixth nationally in 2016 when a school-record average of 5,423 fans attended home games for the Huskers.